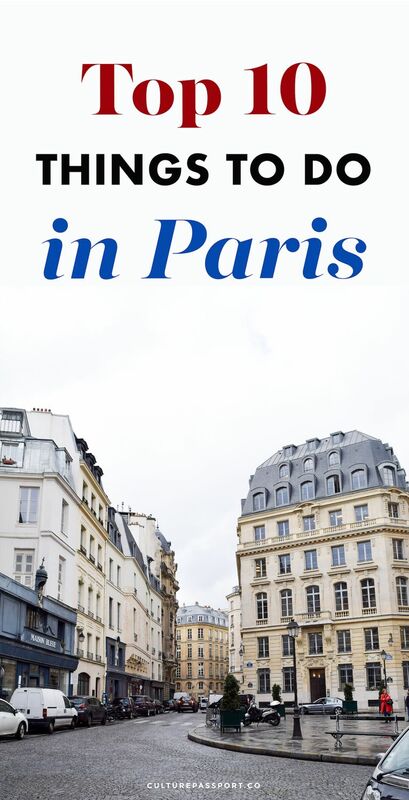 So you’re planning a trip to Paris? Lucky you! The first time you visit Paris is a truly magical experience. I still get giddy when I look at the beautiful Haussmannian buildings from my taxi window after flying into Charles De Gaulle airport. Paris is a city full of history and culture, and even if you lived here for an entire year, you probably still wouldn’t discover everything the capital of France has to offer. For the sake or prioritization, these are the places and things to do where I have the fondest memories of the city of light… It’s a great start for planning your first trip to Paris! 1. The Seine & Ile Saint-Louis – One of my favorite days in Paris was when a friend and I grabbed our favorite French pastries, a bottle of champagne, and a blanket, to spend an hour devouring it all while basking in the sun on the banks of the Seine. My favorite place to enjoy Paris’ divine river is on the Ile Saint Louis! Another quintessentially Parisian experience there is to dine along the sidewalk at the Hôtel Saint-Louis en l’Isle. 2. The Louvre – Paris’ most famous museum is a must-visit for any art history buffs. You could easily spend an entire day here looking at the most celebrated artworks of all time, but be sure not to miss La Jaconde (aka, the Mona Lisa, in French!). Its size may be different than what you imagine…! 3. Montmartre & The Sacré Coeur – Montmartre is a neighborhood which sits on a relatively large hill in the north of Paris. It was where many of France’s greatest artists resided including Claude Monet, Amedeo Modigliani, Pierre-Auguste Renoir, Edgar Degas, and even Picasso. It’s central focal point is the beautiful white domed basilica, the Sacré Coeur. Be sure to visit Place du Tertre nearby where dozens of artists work on portraits in the open air. 4. Canal Saint Martin – The Canal Saint Martin is where all the cool kids in Paris hang out. For me its hipster vibe is akin to that of Williamsburg. Stop by the Hotel du Nord for a drink on the sidewalk, or grab your own bottle of wine and sit along the river as so many Parisians love to do! 5. Le Marais – Formerly the Jewish Quarter, the Marais district is home to the city’s most chic contemporary art galleries and attracts an uber stylish crowd to go with it. This is where I chose to stay during my time in Paris and I couldn’t have loved it more. My advice is to start your day at Fragments for the some delicious coffee, and then head to Merci for some shopping. Lastly, casually wander the side streets of the 3rd arrondissement for some incredible shopping and world-class contemporary art. 6. L’Arc de Triomphe – One of the most famous monuments in Paris lies in the western end of the famous Champs-Élysées. The Arc serves to memorialize the soldiers who died during the French Revolution. It was designed in 1806 by Jean Chalgrin, who sadly didn’t live to see its construction completed. Since its construction, the Arc de Triomphe has been the site of many marches, protests, parades and celebrations in French culture. You can visit the monument from below, or you can pay 12 euros to climb the stairs and see the view from the top! 7. 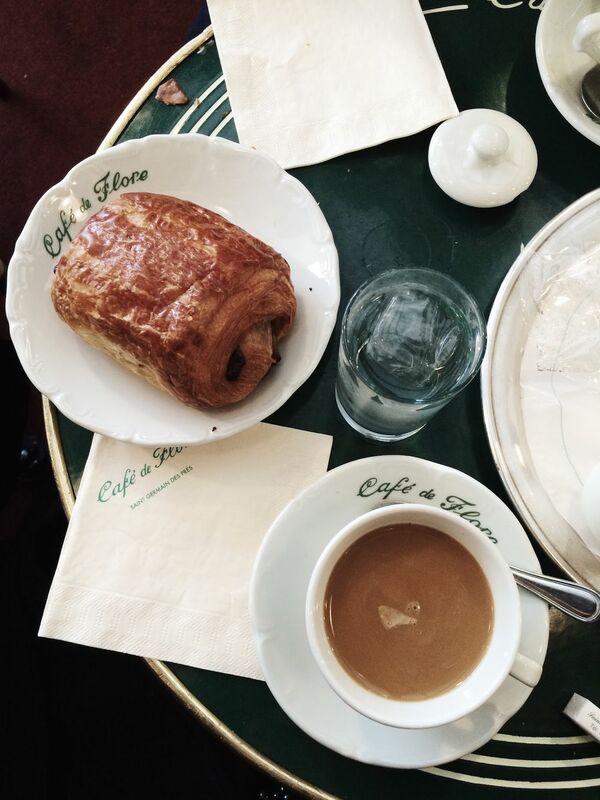 Café de Flore – If there’s one establishment you must visit in Paris, it’s the magical Café de Flore. This charming café is one of the few tourist haunts which is still frequented by locals alike. That’s probably due to its incredibly storied past, as one of the oldest coffeehouses in Paris. The tables of Café de Flore have welcomed numerous famous writers, philosophers and painters since the 1880s! 8. Le Jardin du Luxembourg – After your coffee at Café de Flore, be sure to walk the stunning gardens of Luxembourg in Saint Germain. The Jardin du Luxembourg was constructed at the request of the Italian-born Marie de Medici, Queen of France, in 1612. She also commissioned a stunning palace, which today is where the French Senate meets. In my opinion, this garden is the prettiest in all of Paris. 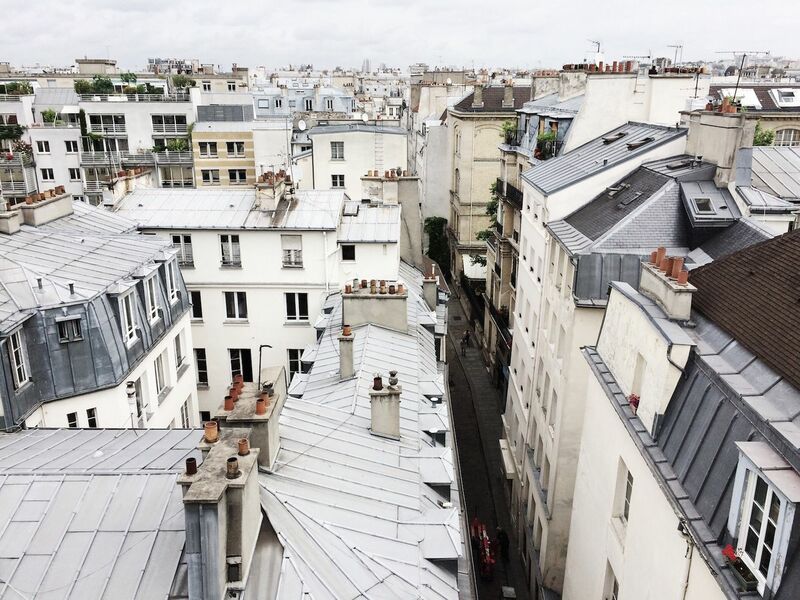 It’s easily a must-visit for a relaxing Parisian afternoon. 9. Place Vendôme – This lovely square in Paris is great for luxury shopping, but even if you don’t have that kind of a budget, you can still get some great photos in front of the classic and elegant Parisian architecture. Place Vendôme is a must-see! 10. Eiffel Tower – No trip to Paris would be complete without a visit to the Eiffel Tower. But instead of standing beneath it, try to visit the middle or end of the park Champ de Mars which precedes it or stand at Place du Trocadero for sweeping views of the Iron Lady. I think from this list you can tell that a big part of visiting Paris is taking the time to appreciate the nature and culture at your disposal. Paris is a leisurely city, and it’s important to take advantage of that during your trip, especially if you come from a hustle and bustle city like New York, like I do!